ow to tie the Trucker's Hitch Knot. Use the Trucker’s Hitch to cinch down a load. This combination of knots allows a line to be pulled verytight. Probably the most useful hitch there is, the Trucker’s Hitch allows a line to be pulled tight as a guitar string and secured. It is used by truckers to secure heavy loads in place and works equally well tying canoes and other objects to the tops of cars. Once the line is pull to the desired tension using the pulley effect of the loop in the middle of the line, the knot is secured with a couple half hitches around one or both lines. 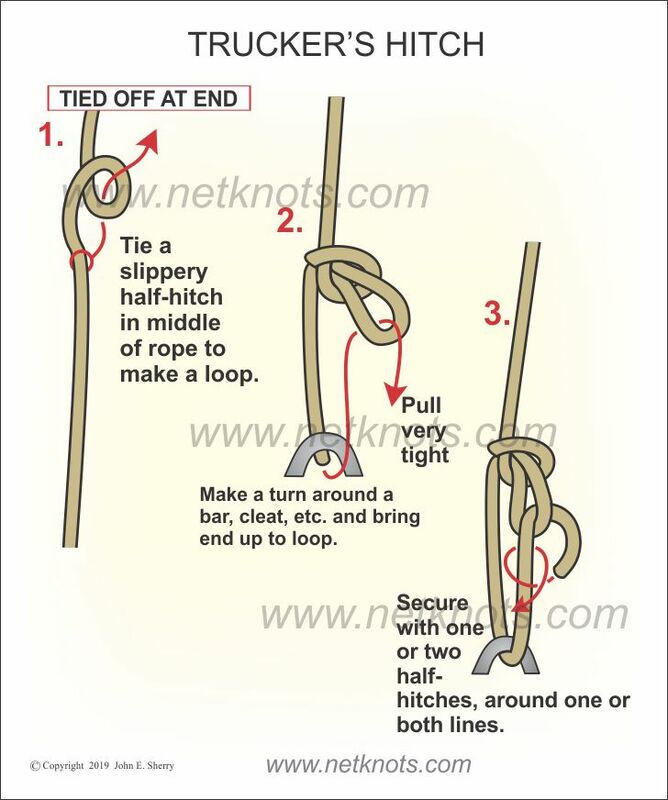 Scroll to see Animated Trucker's Hitch Knot below the illustration and tying instructions.